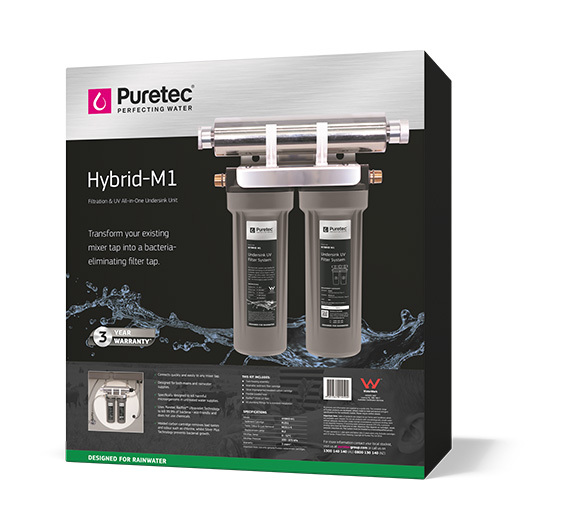 The Hybrid Mini Series uses Radfire ultraviolet technology to kill 99.9% of bacteria. It is eco-friendly and does not use chemicals. 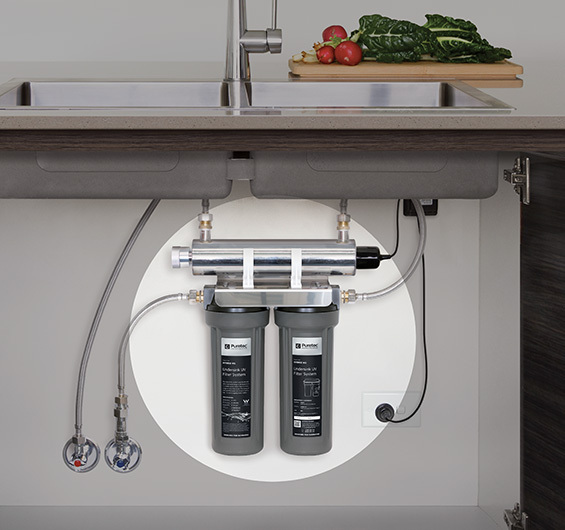 This system can be connected quickly and easily to any mixer tap. 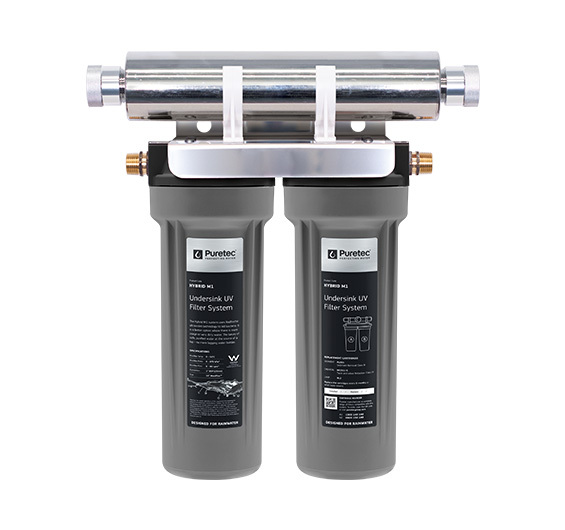 It turns your rainwater into pure, safe, delicious and healthy drinking water! • Uses Puretec Radfire ultraviolet technology to kill 99.9% of bacteria - eco-friendly and does not use chemicals. Important Note: 3 year warranty is 1 year parts and labour, plus 2 years parts only.